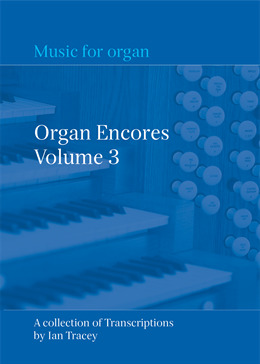 Volume 3 of Organ Encores is published next week which contains another six pieces lovingly transcribed and arranged for organ by Ian Tracey. It includes works from Purcell, Boyce, Vivaldi, Paradis, Dandrieu and Karg-Elert. ‘Praise the Lord with Drums & Cymbals’ by Karg-Elert is my favourite. A recent review of volume 1 in ‘The Organ’ said ‘An Excellent and highly practical publication, strongly recommended, especially to those looking for pieces of intermediate difficulty”. Copies can be ordered from sheet organ music vendors or online directly from ChurchOrganWorld in our webstore priced at £20.00. Volume 4 is well underway.